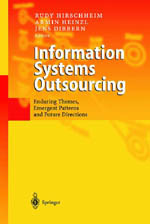 We are generally open to all kinds of topics related to the Outsourcing of Information Services. For each invited paper, a presentation slot will be reserved at the conference. Please consider our submission guidelines. The most important thing is that the paper is well and consistently structured.